This is a fabulous find. 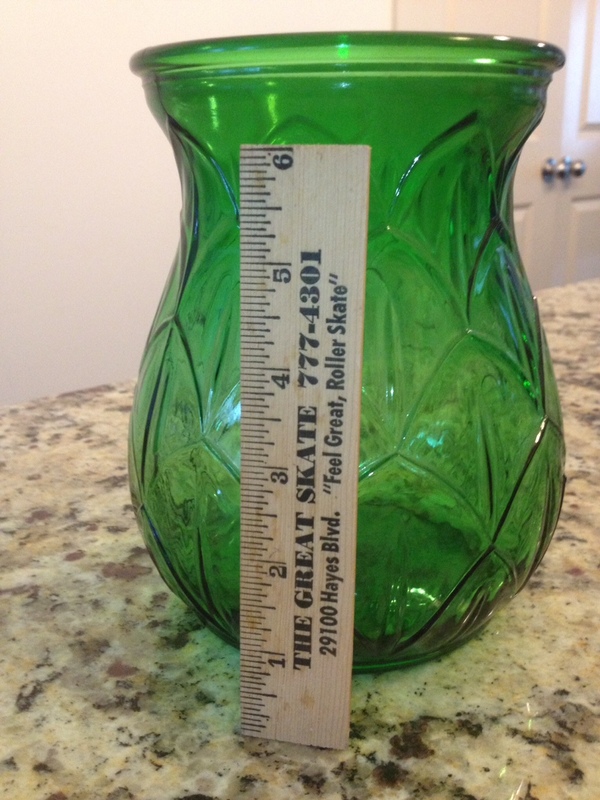 In search of vases, bottles, etc for my glass projects (to be posted soon), I came across this green vase. Bought it at Goodwill. Found a patent number and another number on the bottom. Look for a patent number or any type of number that can be researched. Watch for other numbers, this likely means this was the FIRST vase of a batch, or the first vase PERIOD. For instance, if you Google Tiffany glass appraisals or how to spot real Tiffany, you’ll find TONS of pictures, guides, etc. There are also well known artists’ names who work FOR the large glass houses. 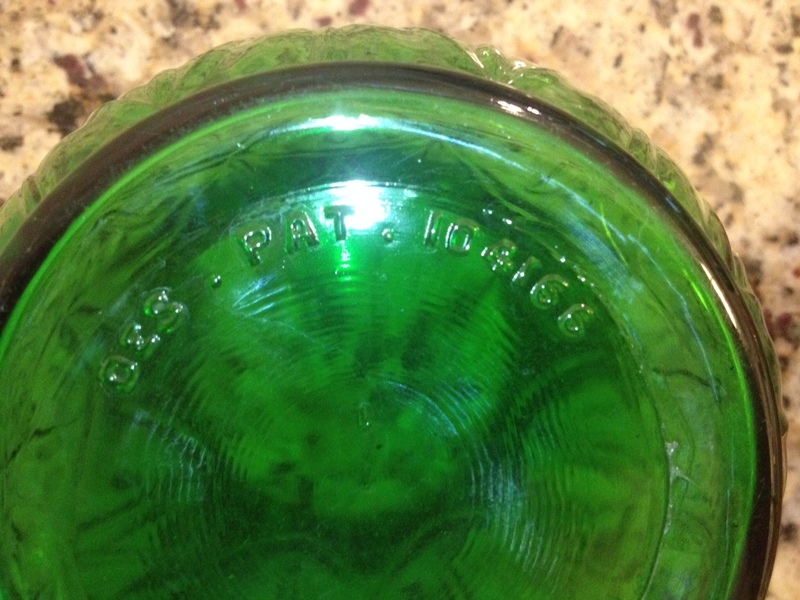 Other famous pottery/glass like Rookwood, Roseville, etc. are easy to find. And typically they are numbered individually. Mr. Lorenzen? Not so much. I went with the company that was mentioned by Digger on his website and found this piece was likely made from the Owens-Illinois glass company. Sometimes a fellow picker helps you out. Thanks Digger! I hope to pay it forward one day! 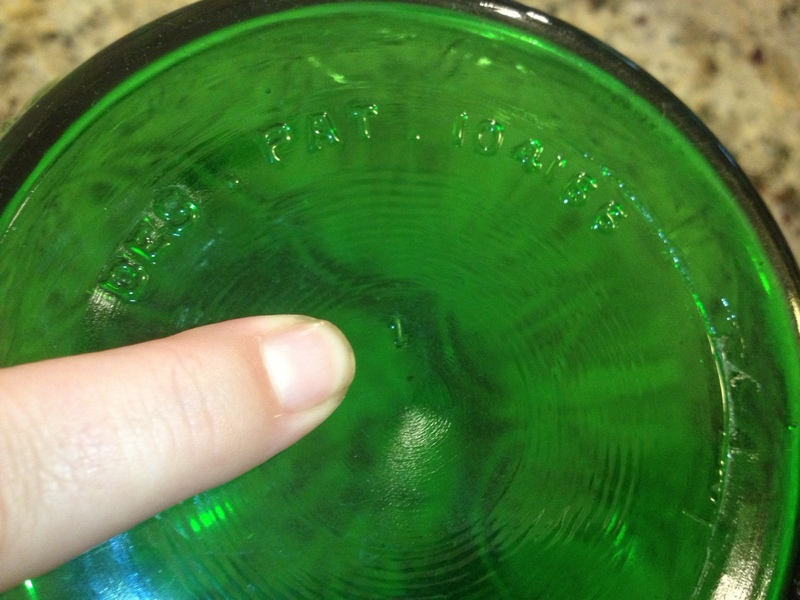 CONCLUSION: Looking at the glass, there is a slight visible seam, which means it appears factory made (not a bad thing, but no, not hand-blown glass). 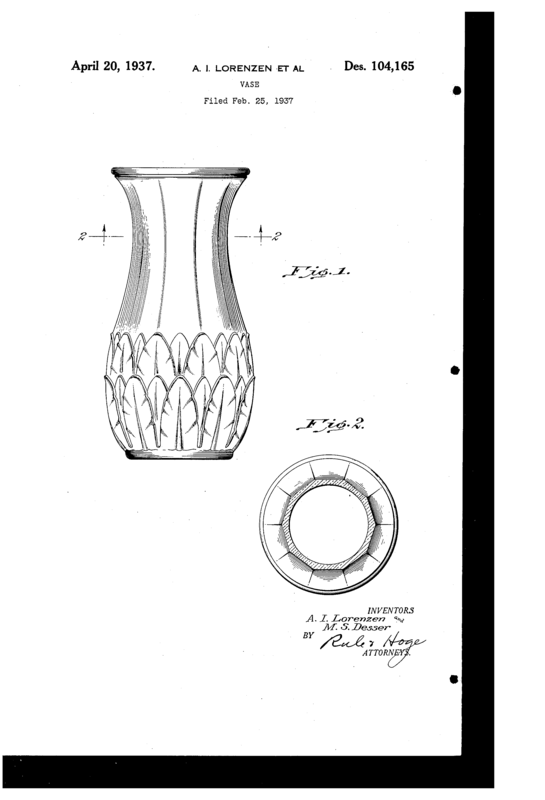 It’s likely the Owens company purchased the design and produced some, but definitely not a LOT of these vases. And by finding the other person with #4 and no others, I’d venture to say that’s a pretty good guess, otherwise, I’d be finding a ton of them. Same if it were a reproduction. If the vase was mass-reproduced, I would likely find TONS more. Great. So What’s it WORTH? Ask anyone in the antique business and the answer is the same: Whatever someone is willing to pay. The right buyer, the right time, the right item… it all rings true. For instance (pictures coming as soon as I make a trip home to Michigan) my father has an antique beer sign from the 1930’s. I’ve found a few that sold for $50 and some that sold for nearly $200. Of course, condition plays a role, but at least that little bit of research told me NOT to sell it for $5.00 at a garage sale! It’s Ebay or Antique-sale worthy. My price for this vase? $50.00. It’s a gorgeous artichoke design that’s rarely seen, has a perfect height/weight and is in mint condition. 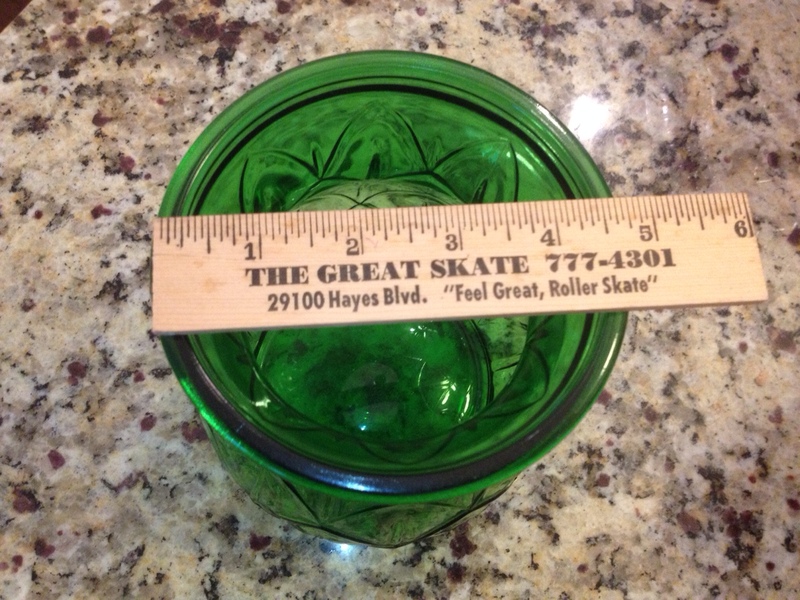 Green depression glass has so many different hues and it’s a fantastic 1930’s/40’s historic piece. I priced it by looking at similar items I found along my Googling adventure. Oh, a little advice when Googling: Click on Google images – it’s much easier to look for pictures of the exact item than to keep clicking on websites. MUCH easier! Note: whenever you find something numbered, patented, etc.. do a quick search to see what you find before painting it, etc. Usually it takes a 1 minute search to see that. True, but some are more rare than others. Some colors/patterns are HIGHLY sought for their rarity while others are very easy to locate. This vase was pretty unique with it’s markings and the ability to find the actual maker/artist, etc. Thanks for commenting! I LOVE depression glass! 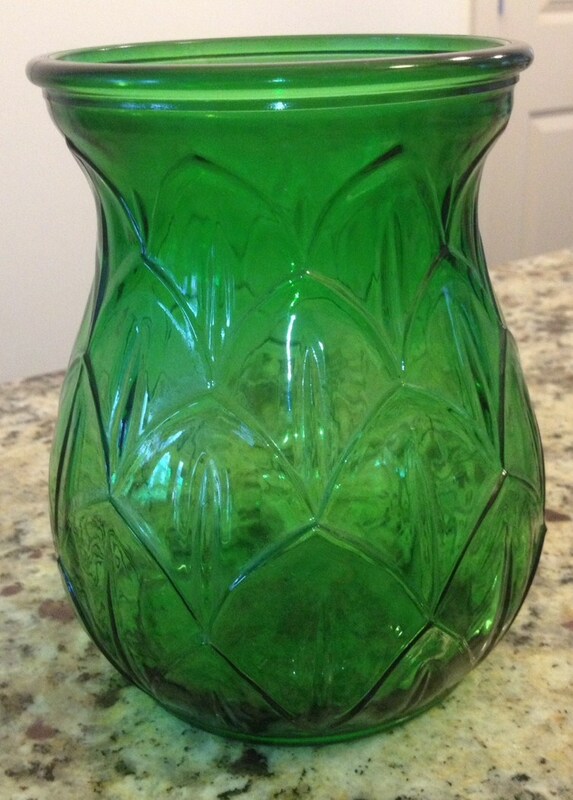 Depression glass vases are relatively easy to find and come in all the beautiful colors and patterns of any other Depression glass.